Sharpen Every Knife You Own! Sharpens knives, scissors, serrated and fish hooks. 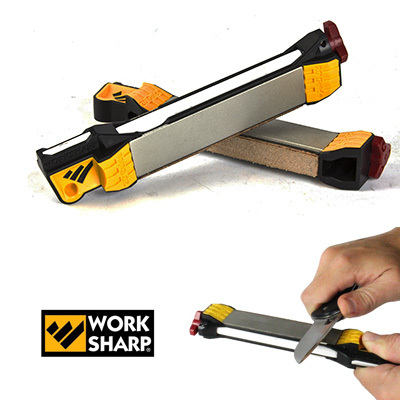 The Guided Field Sharpener is a compact knife and tool sharpener designed for use in the field. Built in angle guides ensure a consistent bevel angle across the entire edge of the blade. Five abrasive Steps provide the complete sharpening solution. All elements are self contained and require no assembly in the field.